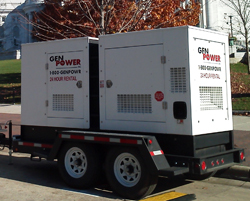 Magnum™ generators from Gen Power can be found powering road and construction sites, commercial buildings and special events all over the Chicagoland area. 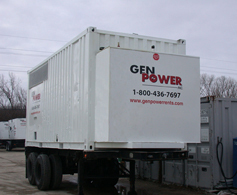 Magnum™ are known for quality and reliable power generation. Sound attenuated aluminum enclosure in white powder coat textured finish. Industry powder coated black textured finish steel skid frame and trailer. Heavy duty stainless steel exterior hardware, latches and handles. Triple axle trailer with electric brakes. 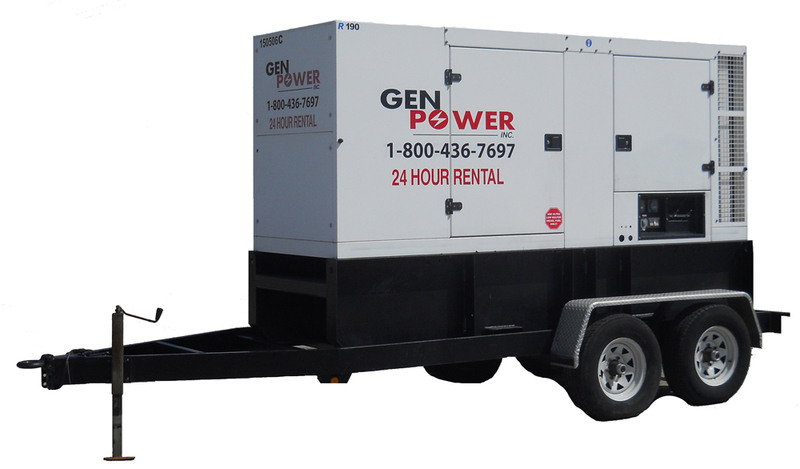 Voltage regulation within +/- 1% with generator speed controlled by electronic governor. 29 hour full load run time. Air filter condition indicator on control panel. Advanced backlit Magnum Digital Controller (MDC). Two position, voltage link board. Multiple convenience outlets with individual breakers. Red emergency stop switch located on outside of enclosure.